Are at Farmburgers in Decatur. Locally grown food to table restaurant on Ponce de Leon. I drew this with my Lamy Safari during g the end of rush hour. 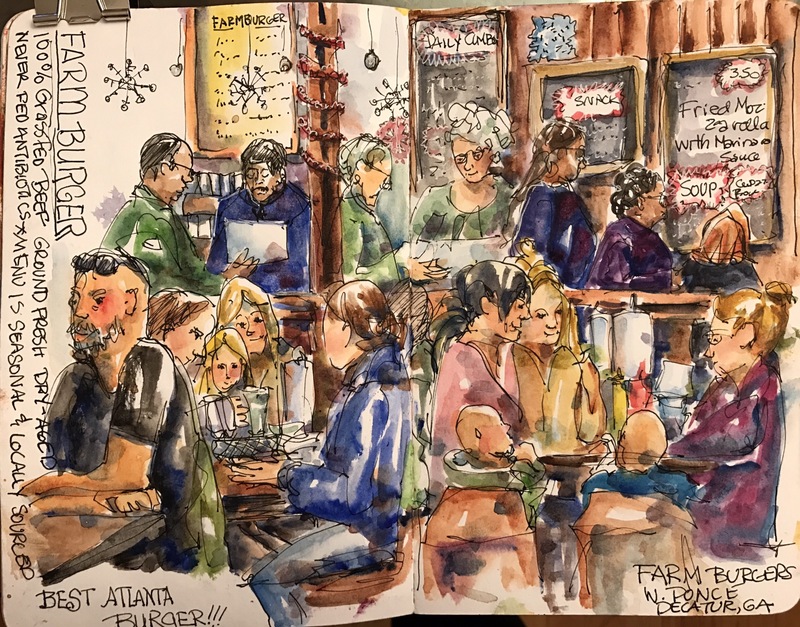 The guy in the foreground who was maybe a foot from me was so involved in his conversation that he never noticed me drawing him. The waitress did though. She loved it. Of course all the people were not where they are at the same time. I dropped in the foreground people adding the background and the people in line with menus after the foreground. Sometimes I mess up and do it the other way. That NEVER works out well. Oops. Remember FOREGROUND first then background. Ok?! Colors used same as yesterday. 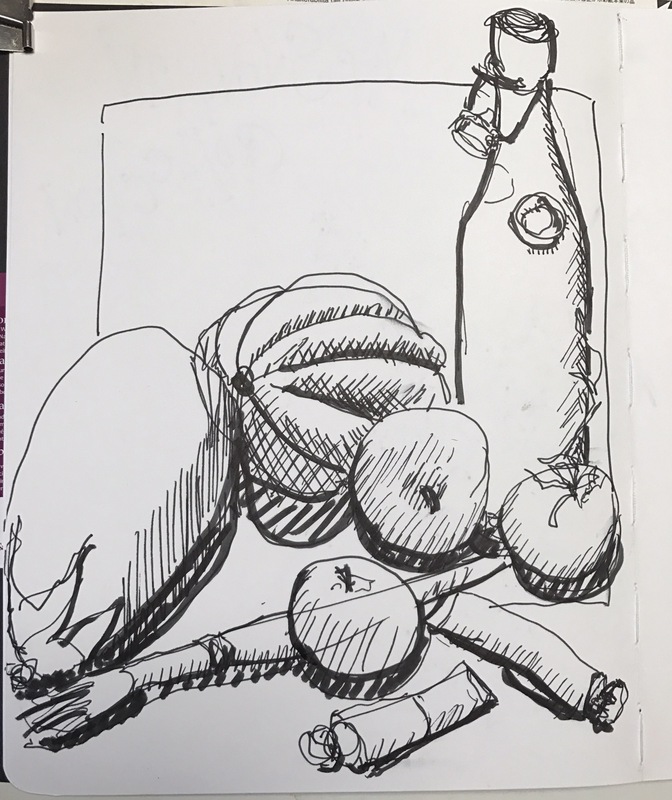 Today’s sketchbookskool installment. 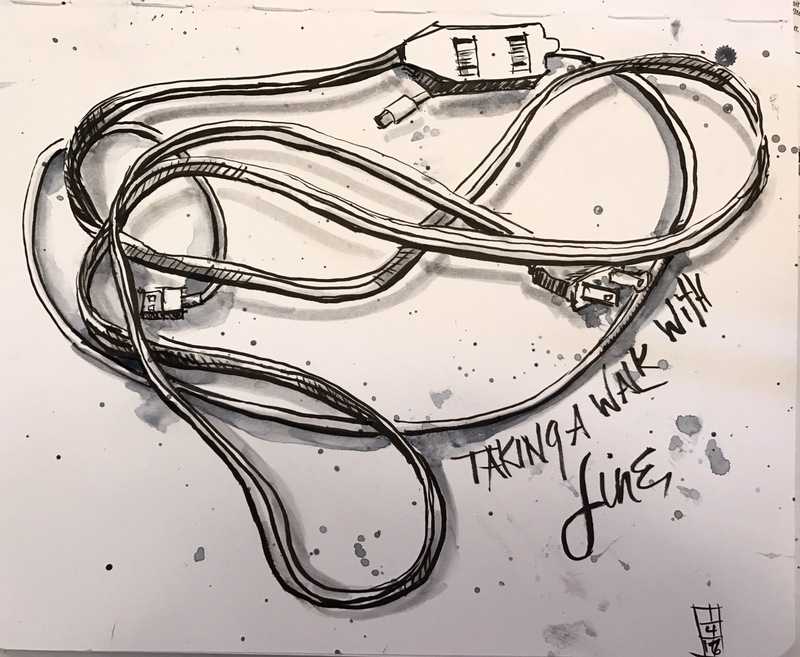 Draw an electric cord with a brush pen. I used my pentel brush pen. Not as easy as you would think. Really didn’t like it til I added the grey tombow shadows. Used a light grey tombow for the cord shadows. And splattered it with a bit of black watercolor paint. Both sketches are in Stillman and Birn zetas. Ttyl playing bridge today. NOT played inmore years than I care to think. Twenty maybe? 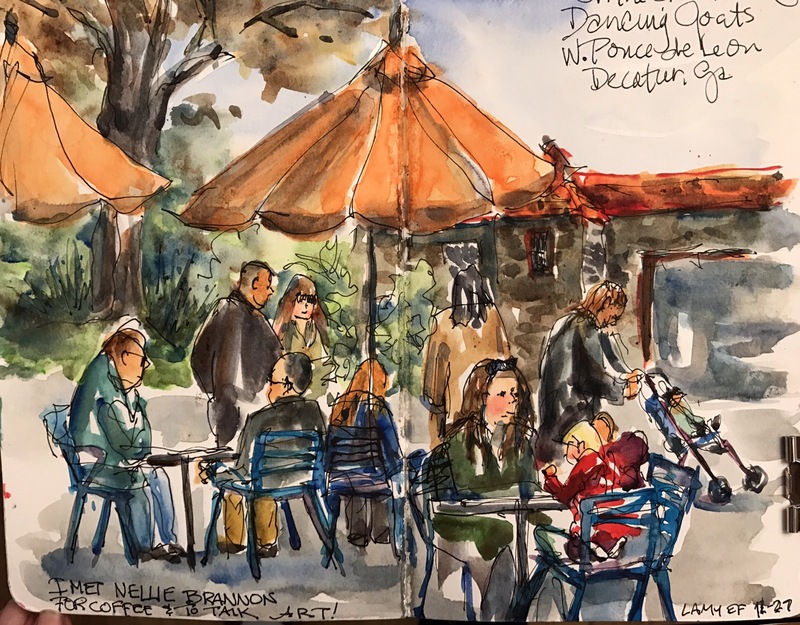 I drew this the other day when I met Nellie Brannan for coffee at the Dancing Goats in Decatur. It’s Decatur’s favorite coffee shop. Their coffee is sold in Augusta at Augusta’s favorite coffee shop the Inner Bean. I drew the brave people sitting out on the sidewalk in front of the dancing Goats as they walked thru the scene. There was alot of coming and going. Sketchbookskool homework. 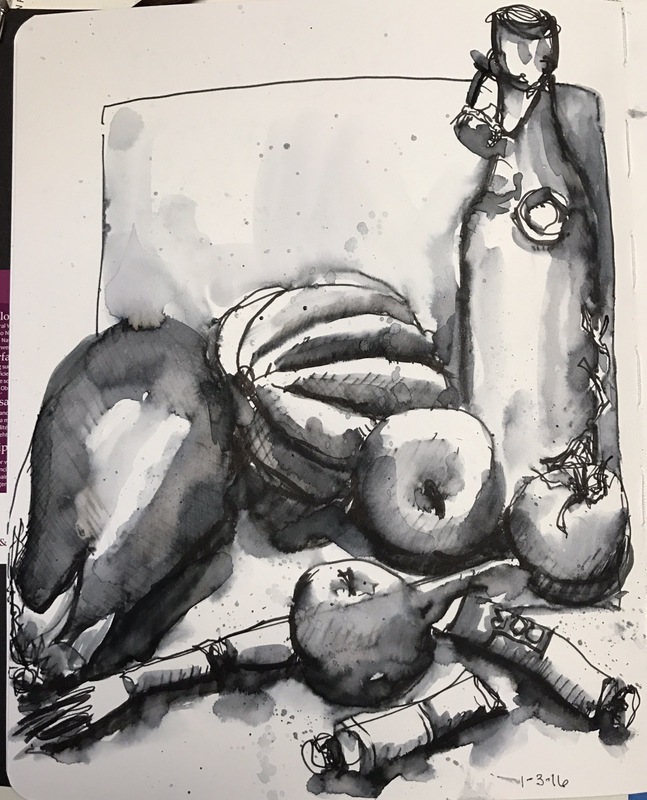 Draw a still life with thick and thin lines. I used a tombow instead of a fine and a thick sharpie. I really didn’t like the line drawing so I got out a watercolor brush and some water and let the tombow bleed. Then I added some water to the shadows and picked up the grey to splatter it. Like it a lot better now.